So, after a couple of months of wandering, I have decided to base myself in Courmayeur in Italy for a while. If you haven’t heard of it before, Courmayeur is a small alpine town in the Aosta Valley, in the very North of Italy. 1. The scenery is truly AMAZING. Nestled in the midst of the Italian Alps, it is right at the foot of Mont Blanc (the highest peak in Western Europe). The dramatic mountainous slopes surround the town on all sides. I have been lucky enough to secure a lovely little apartment at the top of the town and Annie and I walk out to views that take my breath away every day. The vistas in the summer are green and impressive. Not to be too hippy-dippy, but I feel a sense of great peace when in the tranquillity of the hills – it is so good for the soul! The town itself is also very beautiful. 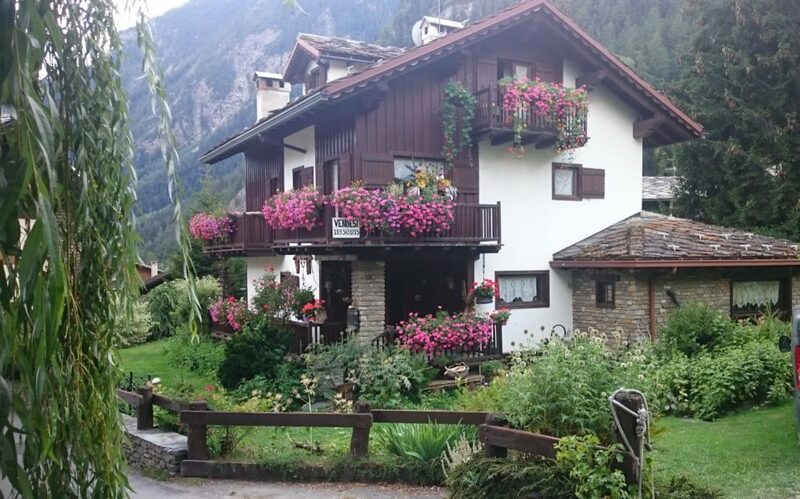 It retains a traditional alpine style that is extremely charming and quaint. 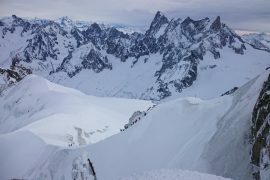 I personally prefer it to the nearby very popular, much bigger resort of Chamonix in France. For anyone that loves being in the great outdoors, you couldn’t ask for a better location. During the summer months, the town is awash with Hikers. Courmayeur is a main stopping point for the TMB (The Tour of Mont Blanc). There are lots of enthusiastic cyclists and climbers that make this a base for their adventures. Annie and I have been lucky enough to catch the tail end of the summer season here. We have enjoyed some truly spectacular treks directly out of the town. 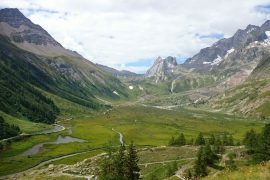 One of our highlights was the changing landscapes through Val Veny. 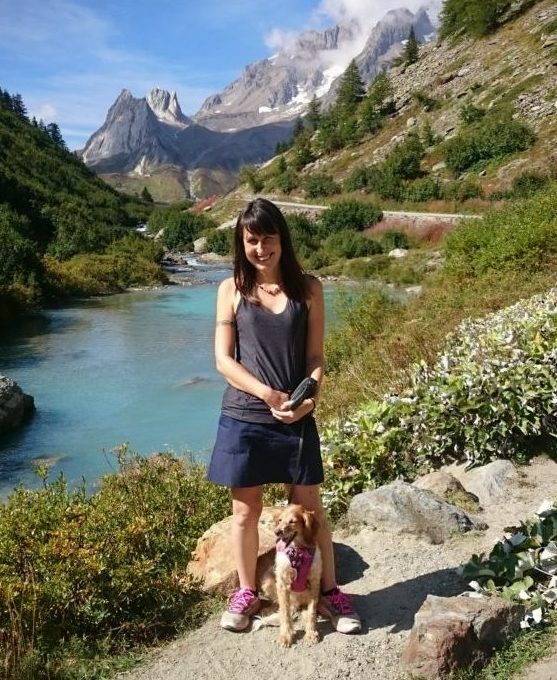 Hiking up to Lago Miage, a glacial lake, will appeal to even the less seasoned hiker. It is not too tough a climb, with well-kept paths, and the views along the way are ever changing and breath-taking. 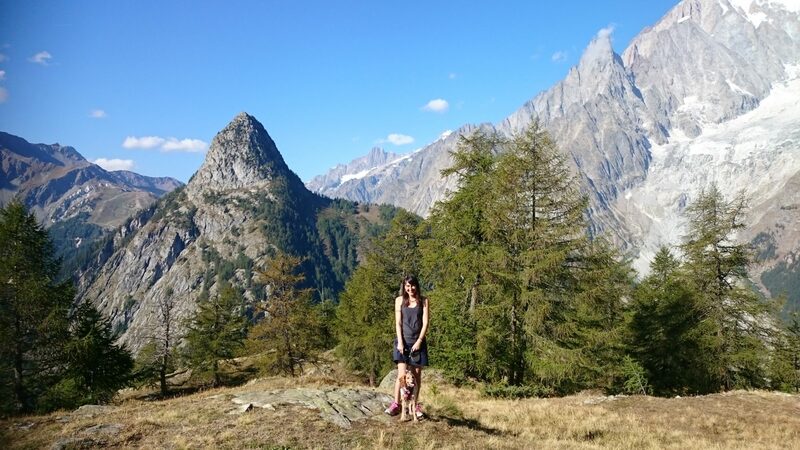 Annie and I on the walk through Val Veny – stunning! Watch this space for a Blog post dedicated to information on some of the Hikes we have done in the area so far. I can’t wait to experience a ski season here too. Courmayeur is widely regarded as the top ski resort in Italy. I have yet to try cross-country skiing or snow-shoeing so they are both at the top of my to-do list! Situated right at the top of Italy, Courmayeur is so well situated for allowing us to visit some other destinations that appeal. France is less than half an hour away through the impressive 7-mile long Mont Blanc Tunnel. I plan to visit some areas in Southern France over the coming months, including Lyon and a return trip to the beautiful Lake Annecy. Geneva in Switzerland is less than one and a half hours drive away and is on my list. In Italy Turin, Milan and Lake Como are all within a few hours’ drive. I also hope to do a few trips slightly further afield. Ljubljana in Slovenia ( 7 hours’ drive), Budapest in Hungary and Split in Croatia (both less than 11 hours’ drive away). There is a very welcoming vibe in the town which I love. 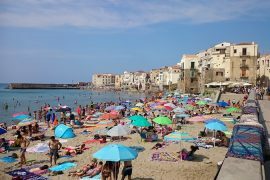 It is busy in high season but it still retains a very relaxed feel and in the low season the community feel of the town is extremely noticeable. I have felt really welcome here. Although I am practising hard every day, my Italian is currently pretty poor. People are always very patient with my woeful attempts at communicating though. For those of you that don’t speak Italian, there are plenty of English speakers around too (I just much prefer to try my best to speak the local language). 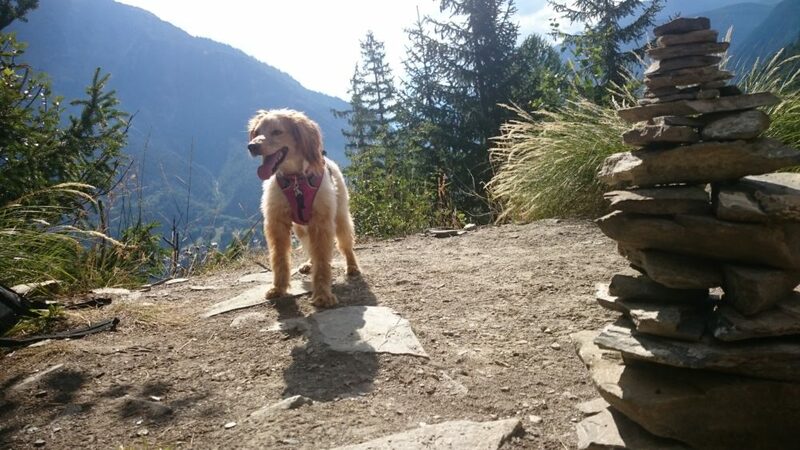 Another big reason for wanting to stay put for a bit was Annie’s instant joy at having the freedom of the hills. She also welcomed the cooler mountain air here after the stifling heat of Southern Italy in the summer. It is a VERY dog-friendly town. There are lots of other dogs in the village, lots of green space and lots of choice in terms of very dog-friendly accommodation and restaurants. Doggy etiquette is refreshingly civilised too. In the coming weeks/months I will be updating the Blog with lots of posts about life in the Aosta Valley. 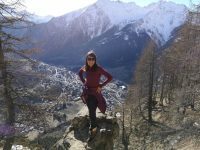 Courmayeur looks like a true paradise on Earth 🙂 And those beautiful Italian Alps! If I were to choose a country where I could move to, it would definitely be Italy!